Cities Connection Project | ZWICKI SÜD. ZURICH-DÜBENDORF. Very well connected, but distant from historical centers, Zwicky Süd is typical for the recent wave of development in the agglomeration around Zurich. 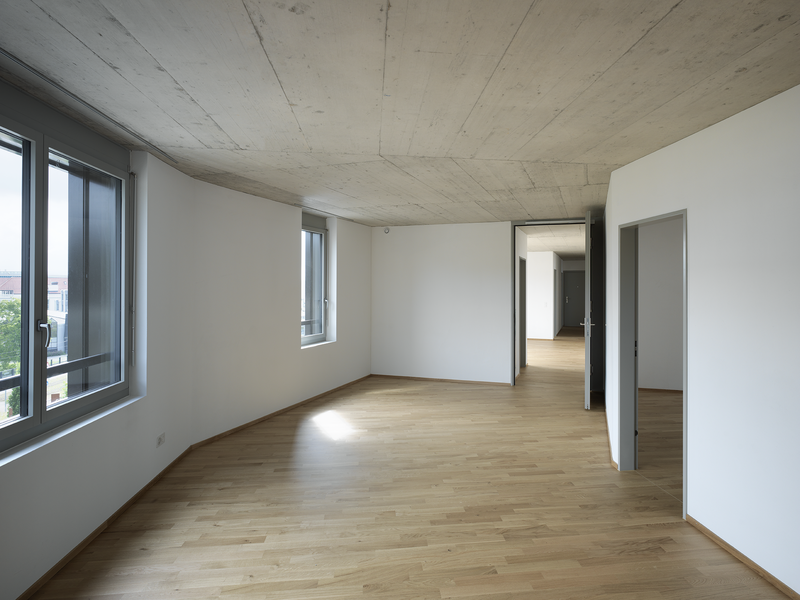 Our project contributes to this emerging urbanity, not only by providing a high density of housing, but also by establishing important new connections and by offering a variety of public or collective spaces and programs. The abandoned space under the train viaduct is activated and becomes the main address for pedestrians and bikes. A dense network of alleys and squares continues the spatial fabric of the existing industrial site. Three complementary building types form a conglomerate: slender slabs, massive blocks and low-rise halls. The slabs are suffused with light from two sides and can easily be subdivided in small studios, ateliers or hotel rooms. The blocks, on the other hand, contain deep plans with internal lightwells. 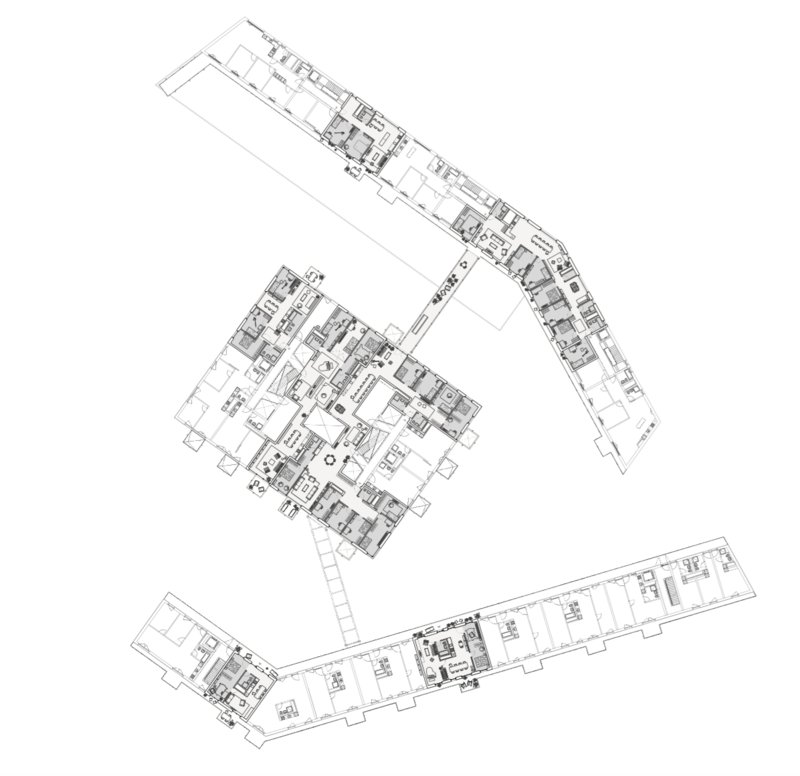 This typology – familiar from office buildings – is adapted to house various sizes of apartments, from studios to large, shared apartments. The halls provide additional surface on the ground floor for production, storage, exhibition, sales floors and even for loft-like row houses. A light steel structure wraps the buildings, allowing for balconies, galleries and façade greening. The development is a result of the collaboration between private investors and the cooperative Kraftwerk 1, who occupies the western part of the site. 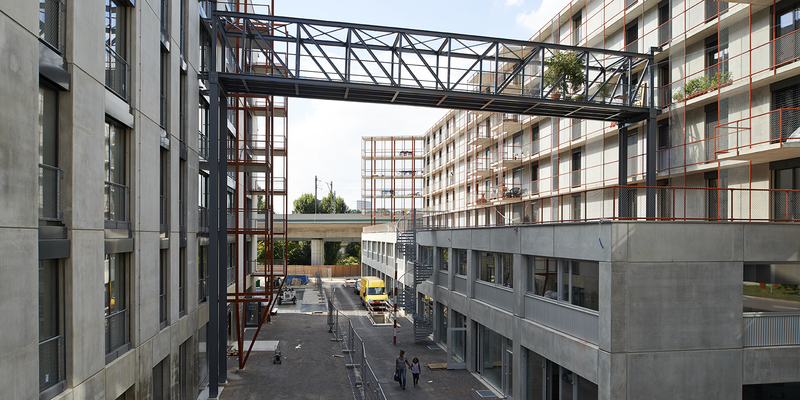 The buildings of the cooperative are easily recognizable by the spectacular, recycled bridges which connect shared flats with their “satellites” in adjacent buildings, providing additional collective space and interconnectedness.